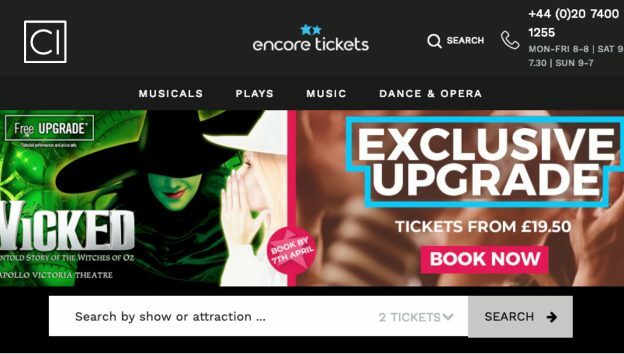 Encore Tickets have been using CI for a while now. At the time of writing this post, they have put live 8 campaigns already. That is an endorsement by itself. Today’s post focuses on Kieran Fox, Head of Digital at Encore Tickets and he and his team is using CI to connect and work with influencers. What was Encore Tickets hoping to get out of working with influencers? To promote the West End by working with passionate entertainment, lifestyle, family bloggers. Working with influencers was a new way to reach potential customers, generate content, share launches and other theatre news in an authentic and passionate way. Influencer marketing was to compliment a full marketing portfolio of marketing channels. To drive awareness, online citations and ultimately sales. The campaigns were setup in different ways. To launch and promote new shows like Mary Poppins. To showcase how the whole family can enjoy the latest shows through to asking creators about their own theatre experiences. CI was the first entry into this marketing technique. Previously, campaigns similar (but different) were via a PR campaign, and involved sending journalists to expensive shows for a mention. This widened the net and opportunity for a wider audience. Did the campaign(s) have the desired results? Traffic from referring websites were measured and were a fresh source. Organic performance for individual shows increased with ranking improvements. So, Yes. This entry was posted in Success Stories on 27th March 2019 by Adrian Land.